A test includes a new call-out and ad treatment for the shopping program in mobile search results. This week, we spotted a new treatment for Google Express in the search results. This included two new elements: a promotion for the program at the top of the results and a new look for Google Express ads in the Shopping carousel. The “Get it with Google Express” promotion at the very top of the results, just below the navigation, touts the program’s easy checkout and free delivery. The Google Express Shopping ad features the program logo and displays the participating retailer name — in this case, Walmart — selling the product showcased in the ad. The test is quite limited. It’s running on mobile only in the US when it regards the offer to be particularly relevant to the query. In August, Walmart and Google partnered to enable shopping on Walmart through Google Assistant, including Google Home devices when users link their Walmart accounts to Google Express. Target expanded a similar voice-commerce agreement nationwide in October. It is interesting to see Google promoting its own program so prominently here. 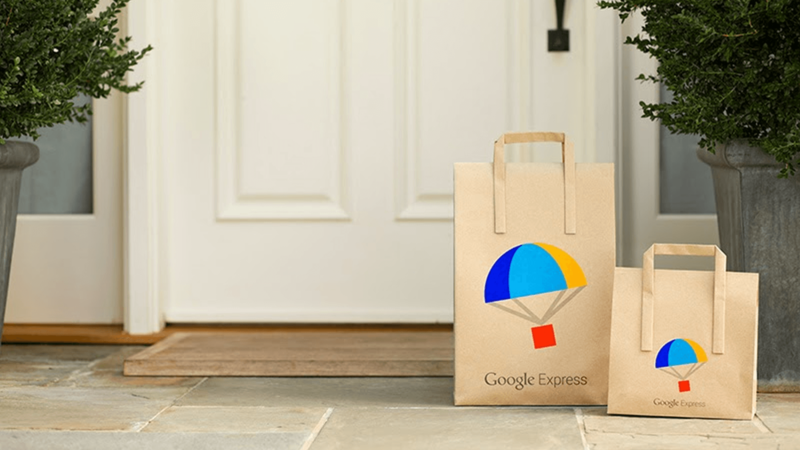 Google Express launched in 2013 as a way to take on Amazon. More than 50 retailers now participate in the program, which offers free delivery or shipping when qualifying order values are met, same-day to a week out depending on the user’s location.